Intrinsic Equity is the investment vehicle of Orbis Partners. Intrinsic is a value investor in businesses with a competitive advantage in markets with stable or positive dynamics. They have made 34 investments during the last 15 years and has a current portfolio of 14 companies. Intrinsic invests across most sectors and focuses on the fundamentals of the business model and the competitive environment. Individuals at Intrinsic often take board positions and provide ‘hands on’ assistance to the business. Intrinsic works with experienced operating partners, who can provide board and leadership support to our investee companies. As members of the Institute For Turnaround (IFT), Intrinsic have adopted their Code of Conduct on Integrity, Transparency and Honesty. James is founder and principal at Intrinsic Equity. He is also a founding partner of Orbis Partners. 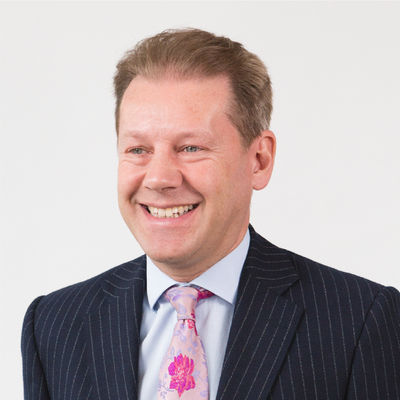 James has over 25 years experience as a dealmaker, financier and investor working predominantly within the Midlands business community. His career started with Deloitte Corporate finance, and he subsequently set up Birmingham’s first corporate finance boutique in 1999, which was sold to Kroll in 2003 and reacquired as Orbis Partners in 2006. During this period James has invested in over 30 private businesses and currently holds board roles with Accutronics, Abacus Lighting, Homes Caring for Autism, Homebuy and iESCo. Over the last five years James has focused on financing and managing distressed businesses, working in partnership with management teams and stakeholders. James is a member of the Institute for Turnarounds (IFT) and a trustee for Cerebal Palsy Midlands.